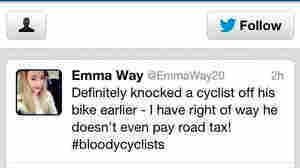 May 22, 2013  A British driver who struck a cyclist with her car — and who then bragged about the incident on Twitter — has issued an apology. 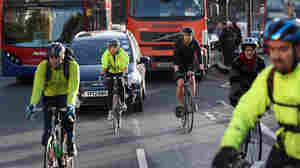 The incident caused an uproar after the collision Sunday. April 4, 2013  The fallen superstar has been banned for life from most competitions because of doping charges. The U.S. Anti-Doping Agency's reach doesn't extend to U.S. Masters Swimming. 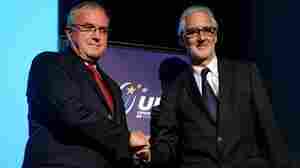 But swimming's international authority objected to his planned participation. 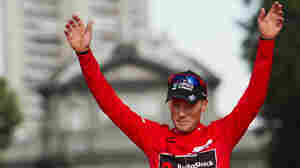 Then, Armstrong withdrew. 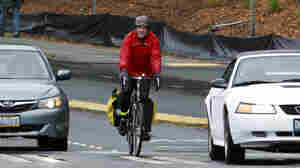 March 5, 2013  Days after angering cyclists with his contention that people who ride bikes don't help pay for roads — and stating that "the act of riding a bike results in greater emissions of carbon dioxide from the rider," Washington State Rep. Ed Orcutt has apologized for his words. 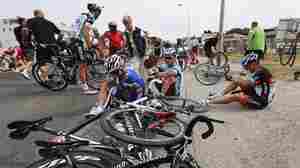 January 15, 2013  In an interview with Oprah Winfrey, the cycling superstar confessed to cheating throughout his career, she tells CBS News. Their conversation will air on the Oprah Winfrey Network over two nights, starting Thursday at 9 p.m. ET. January 14, 2013  On the day he's being interviewed by Oprah Winfrey, the cycling superstar has apologized to staff of the cancer foundation he spearheaded. But it's unclear what he said he's sorry for. 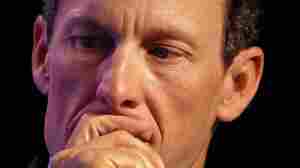 Armstrong has been snarled in scandal over his alleged use of performance enhancing drugs. January 9, 2013  The cycling superstar met with U.S. Anti-Doping CEO Travis Tygart in December to talk about a public confession, USA Today reports. That follows a similar story from The New York Times. 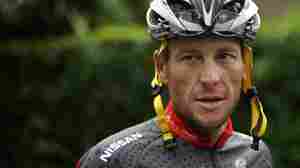 Meanwhile, 60 Minutes Sports says says Armstrong once tried to "donate" $250,000 to the anti-doping agency.